ናይ ሰንበት Sunday, 21 April 2019፡ ዕዱማት ኣጋይሽና፡ ዶር. ኢብራሂም ስራጅ፡ ዶር. ሳራ ዑቕባይ፡ ኣኦ ሰንጋል ወልደትንሳኤ ኢዮም። ኣርእስቲ ዘተና፡ "ሃገራዊ ስኒት፡ ንድሕነት ህዝቢን ሃገርን" ዝብል ኢዩ። ኣብዚ ኣገዳሲ ዘተ ክክሳተፉ፡ ብኽብሪ ንዕድም። On Sunday, 21 April 2019, our invited guests are: Dr Ibrahim Sirage, Dr Sarah Ogbay, Mr Sengal Woldetnsae. Our discussion topic is: "NATIONAL HARMONY- to rescue our people & the nation" You are all welcome to participate. መበል 28 ዓመተ ነጻነት ብኸመይ ይበዓል? How should we celebrate 28 th Independence Day? Enough Dictatorship! Enough to ineffective style of OPPOSITION! ይኣክል ምልኪ! ይኣክል ውጽኢት ንዘይብሉ ኣገባብ ቃልሲ! ናይ ሰንበት Sunday 14 April 2019፡ ዕዱም ጋሻና ገዲም ተጋዳላይ ኣሕመድ ኣል ቀይሲ ኢዩ። "ይኣክል ምልኪ! ይኣክል ውጽኢት ንዘይብሉ ኣገባብ ቃልሲ!" ብዝብል ኣርእስቲ ምሳና ክዝቲ ስለዝኾነ፡ ክሳተፉ፡ ብኽብሪ ንዕድም። On Sunday 14 April 2019, our invited guest is Veteran Ahmed Al-Kaissi. His discussion topic is: "Enough Dictatorship! Enough to ineffective style of OPPOSITION!" You are all welcome to participate. ናይ ሰንበት Sunday 07 April 2019፡ ዕዱማት ኣጋይሽና ዘርእሰናይ ግርማይ (ተዛረብ)፡ ሳባ ኪዳነ (ገጣሚት)፡ ዓንዲት ዑቕባይ (ሙዚቀኛ)፡ ቨሮኒካ ሰለሙን (ሙዚቀኛን ድምጻዊትን)፡ ገብረሂወት ወልደስላሴ - ጎነይ (ገጣሚ) ኮይኖም ምስ ሓይሎ ዕማም ሕድሪ ጀጋኑና ክቐርቡ ኢዮም። ኣርእስቲ ዘተና፡ "መበል 28 ዓመተ ነጻነት ኤርትራ ብኸመይ ይጸንበል?" ብዝብል ኣርእስቲ ምሳና ክዝትዩ ኢዮም። ኩልኹም ክትሳተፉ፡ ብኽብሪ ንዕድም። On Sunday 07 April 2019, our invited guests are፡ Zeresenay Ghirmay (Tezareb), Saba Kidane (Poet), Andit Ogbay (Artist), Veronica Solomon (Artist and Musician), Ghebrehiwet Ghebreslasie (Poet), together with Task force Eritrea Hdri Jeganuna Team. They will discuss with us on the a topic "How should we celebrate our 28th Independence day?" You are all cordially invited to participate. ናይ Saturday, 06 April 2019፡ ዕዱማት ኣጋይሽና፡ ኣቶ ተኽለ ኪዳነ (ካብ መን ሰኒፈ)፡ ወ/ሮ ገነት ብርሃነ (ጓል ዘነበሽ)፡ ከምኡውን ኣቶ ሓጎስ ኣብራሃ (ወዲ ሓይል)፡ ኢዮም። መዛተዪ ኣርእስትና "ሌላ ምስ ኤርትራዊ ሓድነት" ክኸውን ኢዩ። ኩልኹም ክትሳተፉ፡ ብኽብሪ ንዕድም። On Saturday, 06 April 2019, our invited guest are: Mr. Tekle Kidane, Ms Genet Berhane and Mr. Hagos Abraha. Our topic is "About Eritrean Unity" You are all cordially invited to participate. አጋይሽና፡ 1/ ኡስታዝ ዓብዱልረሕማን ኣል'ሰይድ (ኣወሃሃዲ ኮሚተ መዓልቲ ኡሱራት) 2/ ደላዪ ፍትሒ “Activst" ሳምሶን ሰለሙን ኢዮም። ኩልኹም ክትሳተፉ ብኽብሪ ትዕደሙ። our invited guests are (1)Mr Abrurahman Sayed Bohashem (2) Mr Samson Solomon. You are all cordially invited to participate. ዘተ ምስ ሰብ ሞያ ሕጊ። Discussion with Law professional Eritreans. The fall of a Dictatorial regime could only be ascertained through united arm of justice-seekers. ናይ Sunday, 31 March 2019፡ ዕዱም ጋሻና፡ ኢሳያስ ኣስመላሽ (ወዲሽሜ) ኢዩ። መዛተዪ ኣርእስትና "ምልካዊ ስርዓት ዝወድቕ፡ ብሓድነት ምስ እንገጥሞ ጥራይ ኢዩ።" ክኸውን ኢዩ። ኩልኹም ክትሳተፉ፡ ብኽብሪ ንዕድም። On Sunday, 31 March 2019, our invited guest is: Mr. Isaias-Asmelash (Wedi Shemie). Our topic is "The fall of a Dictatorial regime could only be ascertained through united arm of justice-seekers." You are all cordially invited to participate. ናይ Saturday, 30 March 2019፡ ዕዱም ጋሻና፡ ገዲም ስነጥበባዊ ሓርበኛ ንጉሰ ሃይለ መንሳዓይ ኢዩ። መዛተዪ ኣርእስትና "ታሪኽ ሙዚቃ ኣብ ኤርትራ፡ ኣወንታዊ ኣበርክቶኡ ኣብ ቃልሲ ንሃገራዊ ናጽነት፡" ክኸውን ኢዩ። ኩልኹም ክትሳተፉ፡ ብኽብሪ ንዕድም። On Saturday, 30 March 2019, our invited guest is: Mr. Neguse Haile Mensaay, Legend Eritrean Artist and Veteran. Our topic is "History of Eritrean Music, its impact on Eritrea’s Liberation Struggle" You are all cordially invited to participate. ናይ Thursday, 28 March 2019፡ ዕዱም ጋሻና፡ ኣቶ ነጋሽ ዑስማን፡ ኣቦ መንበር ኮሚቴ-ዞባ፡ ኤርትራዊ ሃገራዊ ባይቶ ንዲሞክራሲያዊ ለውጢ፡ ኢዩ። መዛተዪ ኣርእስትና "ብዛዕባ ንጥፈታት ባይቶን ናይ ቀረባ መጻኢ መደባቶምን ዘተኮረ" ክኸውን ኢዩ። ኩልኹም ክትሳተፉ፡ ብኽብሪ ንዕድም። On Thursday, 28 March 2019, our invited guest is: Mr. Negash Osman chairman of the Regional Committee of ENCDC. Our topic is "ENCDC Activities and its near future plans" You are all cordially invited to participate. 30th of March, 2019, Time 3PM - 7PM. መበል 28 ዓመተ ነጻነት ኤርትራ ብኸመይ ይጸንበል? How should we celebrate our 28th Independence day? ናይ ሰንበት Sunday 24 February 2019፡ ዕዱማት ኣጋይሽና ኣባላት ሕድሪ ጀጋኑና ኢዮም። "መበል 28 ዓመተ ነጻነት ኤርትራ ብኸመይ ይጸንበል?" ብዝብል ኣርእስቲ ምሳና ክዝትዩ ኢዮም። ኩልኹም ክትሳተፉ፡ ብኽብሪ ንዕድም። On Sunday 24 February 2019, our invited guests are from Eritrea Hdri Jeganuna Team. They will discuss with us on the a topic "How should we celebrate our 28th Independence day?" You are all cordially invited to participate. Eritrean Nahda Party (E.N.P.) - its Aims; as well as discussion on the current Eritrea situation. ናይ Saturday, 23 March 2019፡ ዕዱም ጋሻና፡ ኣቶ ዓብዱራሕማን ጣሃ፡ ኣቦ ወንበር ሰልፊ ናህዳ ኤርትራ ኢዩ። መዛተዪ ኣርእስትና "ሰልፊ ናህዳ ኤርትራ፡ ዕላምኣ፡ ከምኡውን ዘተ ኣብ ህሉው ኩነታት ሃገርና።" ዝብል ኮይኑ፡ ኩልኹም ክትሳተፉ፡ ብኽብሪ ንዕድም። On Saturday, 23 March 2019, our invited guest is: Mr. Abdurahman Taha, Vhairman of Eritrean Nahda Party (E.N.P.). Our topic is "Eritrean Nahda Party (E.N.P.) - its Aims; as well as discussion on the current Eritrea situation." You are all cordially invited to participate. Discussion With Veteran Idris Omer (Beriray). ሓርበኛ እድሪስ ብሪራይ፡ ኣብ እዋን ንእስነቱ ብ1967 ናብ ተሓኤ ዝተሰለፈ፡ ኣብ ምምስራት ህሓሓኤ ድማ ካብቶም ቀዳሞት ዝነበረ፡ ኣብቲ ጽንኩር እዋን ብጅግንነት መሪሑ ዘዐወተ ፍቱውን ምቕሉልን ተጋዳላይ ኢዩ። ኣብዚ እዋን'ዚ ከም ብዙሓት ሓርበኛታት ኣብ ስደት ይነብር ኣሎ። ኩልኹም ክትሳተፉ ብኽብሪ ትዕደሙ። You are all cordially invited to participate. ኣብ ጉባኤ ሓድነት ኤርትራውያን ንፍትሒ ኣትላንታ፡ ጆርጅያ፡ ሕ.መ.ኣ. ኢሳይያስ፡ ልዕላውነት ኤርትራ ናይ ምፍራስ ዕላምኡ፡ መዓስን ብኸመይን ተታሓሒዙዎ? How and when did Isaias started conspiring against Eritrea's sovereignty? ናይ Sunday, 17 March 2019፡ ዕዱም ጋሻና ገገዲም ተጋዳላይ ኣምባሳደር ዓብደላ ኣድም ኢዩ። ኣምባሳደር ዓብደላ ኣድም "ኢሳይያስ፡ ልዕላውነት ኤርትራ ናይ ምፍራስ ዕላምኡ፡ መዓስን ብኸመይን ተታሓሒዙዎ?" ብዝብል ኣርእስቲ ምሳና ክዝቲ ኢዩ። ኩልኹም ክትሳተፉ፡ ብኽብሪ ንዕድም። On Sunday, 17 March 2019, our invited guest is Veteran Ambassador Abdalla Adem. 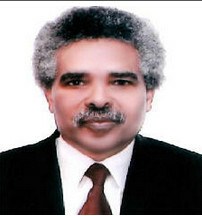 He will discuss with us on the a topic "How and when did Isaias started conspiring against Eritrea's sovereignty?" You are all cordially invited to participate. ናይ ቀዳም Saturday 16 March 2019፡ ዕዱም ጋሻና ገገዲም ተጋዳላይ ተስፋይ ተኽለ ኢዩ። ሓርበኛ ተስፋይ "ቶጎርባ፡ ዕዙዝ ቦትኣ ኣብ ታሪኽ ቃልስና" ብዝብል ኣርእስቲ ምሳና ክዝቲ ኢዩ። ኩልኹም ክትሳተፉ፡ ብኽብሪ ንዕድም። On Saturday 16 March 2019, our invited guest is veteran Tesfay Tekle. He will discuss with us on the a topic "Togoruba: its Historical Heritage in our Liberation Struggle" You are all cordially invited to participate. ሓይሊ ዕማም ሕድሪ ጀጋኑና ንምድላው ኣጸናብላ መበል 28 ዓመተ ነጻነት ሃገረ ኤርትራ ጀሚሩዎ ንዘሎ ስራሓት ብምቕጻል፡ ንሰንበት ዕለት 10 መጋቢት 2019፡ ካብ ስዓት 8:00 ምሸት ብኣቆጻጽራ ስዓት በርሊን ምሳኹም ንኻላኣይ ግዜ ርክብ ክገብር መዲቡ ኣሎ። ሓቢርኩምና ክተምስዩ ብኽብሪ ንዕድም፡ ብደሓን ምጹ። The Task Force of Hidri Jeganuna has continued organizing the way we should celabrate the 28th Eritrean Independence day. The Team will come to the Eritrean Hidri Jeganuna paltalk room, for the second time, on Sunday, 10 March 2019, starting from 8:00 pm Berlin time. We invite all Eritreans to join us. Welcome. ናይ ሰንበት Sunday 03 March 2019፡ ብምኽንያት ኣህጉራዊ መዓልቲ ደቀንስትዮ (መጋቢት 8ተ) ዕዱማት ኣጋይሽና ወ/ሮ ኽድጃ መሓመድ ጣሃ ከምኡውን ወ/ሮ ጽገ ግርማይ ካብ ደቀንስትዮ ኣባላት ናጻ ማሕበር ደቂ አንስትዮ ንሰላምን ደሞክራሲን - ዞባ ኤውሮጳ ክኾና ኢየን። ነቲ መዓልቲ ዘንጸባርቕ "ደቀንስትዮ ዞባ ኤውሮጳ፡ ብምኽንያት ኣህጉራዊ መዓልቲ ደቀንስትዮ (መጋቢት 8ተ)" ብዝብል ዘተ ክቐርባልና ስለዝኾና፡ ኩልኹም ክትሳተፉ፡ ብኽብሪ ንዕድም። On Sunday 03 March 2019፡, our invited guest are Ms Khadija Mohamed Taha and Ms Tsige Ghirmay, from Independent Eritrean women For Peace & Democracy - Europe Zone. They will discuss with us on the a topic "Eritrean women in Europe, on the occasion of Womens day (March 8)." You are all cordially invited to participate.